​​Sumatra is a large island located on the western tip of Indonesia, between the Indian Ocean and the Strait of Malacca. It is the 6th largest island in the world and the largest island that is entirely located in Indonesia (New Guinea and Borneo share borders with other countries). The Equator crosses Sumatra in its center, so the climate of the island is tropical, very hot and extremely humid. The geography is intense and dramatic. The Barisan Mountains cross the island from north-west to south-east, covering approximately 1,600 km. and reach a point of maximum height of 3,800 m. on Mount Kerinci. This mountainous chain is accompanied by the Great Fault of Sumatra, responsible for provoking, among others, the 2004 earthquake and tsunami that killed about 230,000 people throughout Asia. The landscape not long ago has been dominated by lush tropical forests, but in the last 35 years, Sumatra has lost almost 50% of its native forest. This has caused to some of its native fauna to be in danger of extinction; such as the Sumatran Tiger (about 400 left), the Sumatran Elephant (about 1300 left), the Sumatran Rhino (less than 100 left), among others. Aceh is a province of Indonesia. It is located in the extreme north of Sumatra, and its capital is Banda Aceh. Its population has the highest porcentage of Muslim people in all of Indonesia. There are 10 indigenous ethnic groups living in the Aceh region, one of these groups are the Gayonese. They live in the highest lands of the region and today it has a population of approx. of 330,000 people. The Dutch occupied the area violently between 1904 and 1942. It was during this period that the Gayonese developed a cash crop based economy on vegetables and coffee. 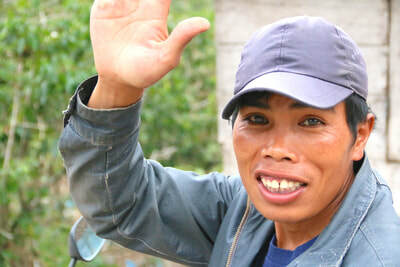 Today there are a large number of small farmers in the area of ​​Gayo, whose farms have an average size of half an hectare. For this reason they must be grouped and organized into cooperatives. For the first year we are working with Permata Gayo Koperasi. This cooperative is located very close to Lake Tawar, in the district of Bener Meriah, in Gayo regency, Aceh region. It was founded in 2006 and today has 2260 members divided into 43 villages. They are doing a great job in terms of traceability, lot separation, experimentation with new processing methods and mono-varietal cultivation. In addition they have just built their own processing plant, which allows them to carry out the entire production process from farm to port, and recovering full control of each stage of the production chain. The history of coffee in Indonesia, as in many others producing countries around the world, begins with tales of colonialism, slavery, monopoly and multinational corporations (Yes! The first ones of modern history were set in the early 17th century). In the year 1602 the Dutch government established the “Dutch East India Company” (VOC; Verenigde Oost-indische Compagnie) as a chartered company and granted it a 21-year monopoly on the Dutch spice trade. This was the first model of what we consider today a multinational corporation. In the year 1616 the Dutch East India Company started with coffee trading in Mocha (Yemen), and during the first half of the 17th century, they only traded coffee in the Arab world and Asia, because there was no demand for coffee in Europe at that time. During the late 17th century, coffeehouses spread all over Europe and the Dutch, English and French started to trade coffee from different Arab ports. The Arabs had forbidden the trade coffee in fertile beans or plants, of course, they wanted to keep their monopoly, but when coffee became very popular in Europe around the 1690, and political problems in the Arab countries threatened coffee imports, different European countries tried to get coffee plants or seedlings for trading purposes. The race to make off with some live coffee trees or beans was eventually won by the Dutch. 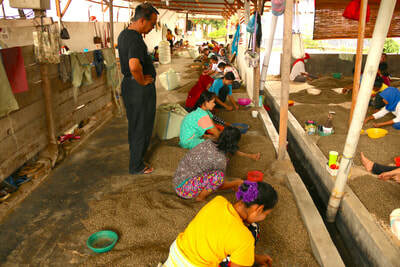 They obtained the coffee plants most likely in Malabar (India), where the Dutch East India Company ruled. 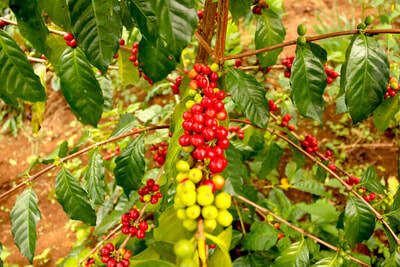 The coffee plants were introduced in Batavia (today Jakarta) Indonesia in 1696. 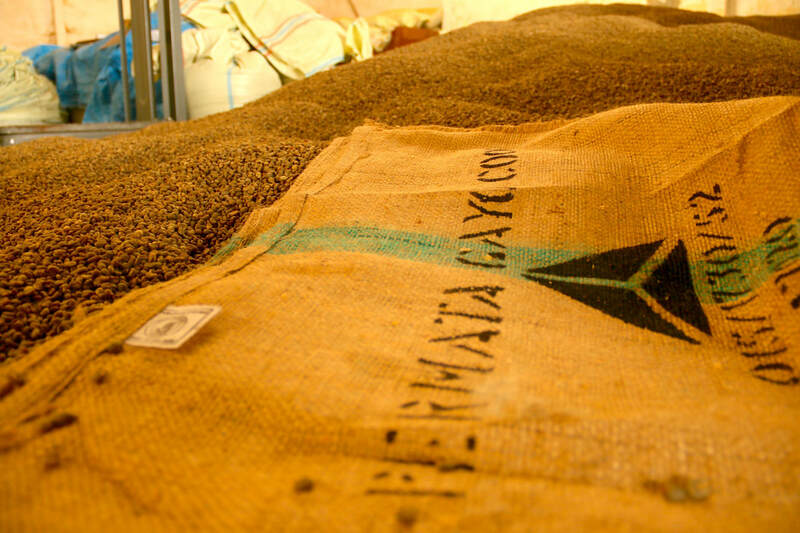 In 1711 the first coffee exports were shipped from Java to Europe. The first coffee shipment was around 450 kg. Ten years later the export had already grown to 60.000 kg. "Coffea arabica, which is indigenous to Ethiopia, was first transported from its origin to neighboring Yemen, and from Yemen was transported all over the world. The coffees that we call Typicas today come from plants that came from Yemen and were brought to Java and the outlying islands by the Dutch, and possibly through the mythical Indian Sufi Baba Budan. 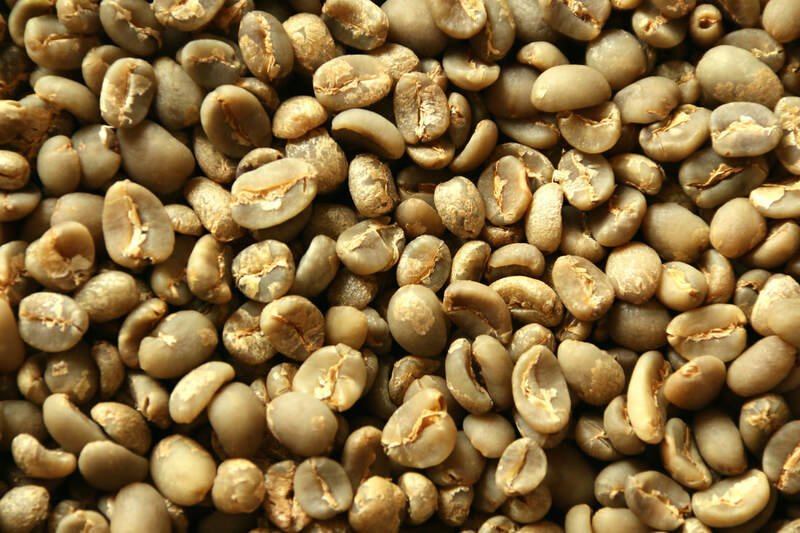 At the beginning of the 20th century, all Arabica coffee plants were devastated by Leaf Rust Disease (CLR). Coffea Canephora (Robusta) plants were then used to replace Arabica because they had greater resistance to CLR. However, this was not without problems, as cupping results were somewhat unpleasant compared to Arabica results. Most of the Typica varieties of Indonesia were lost to CLR disease, although, some Typica plants that had been grown in the northern highlands of Sumatra survived, and can still be found today growing there. In the 1920s, Timor Hybrid (HdT), a natural cross between Coffea Arabica and Coffea Canephora (Arabica and Robusta) was found on the island of Timor. HdT has genes that are resistant to CLR, nematodes and coffee berry disease (CBD). 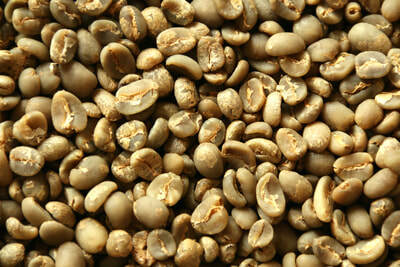 The discovery of HdT played an important role in the development of modern varieties and coffee research. Based on the historical origin of the Coffea Arabica cultivars, the Typica and Bourbon varieties showed important differences. The young leaves of the plant bud are bronze for the cultivars of Typica or dominant origin, and light green for cultivars of Bourbon origin or with that dominant gene. 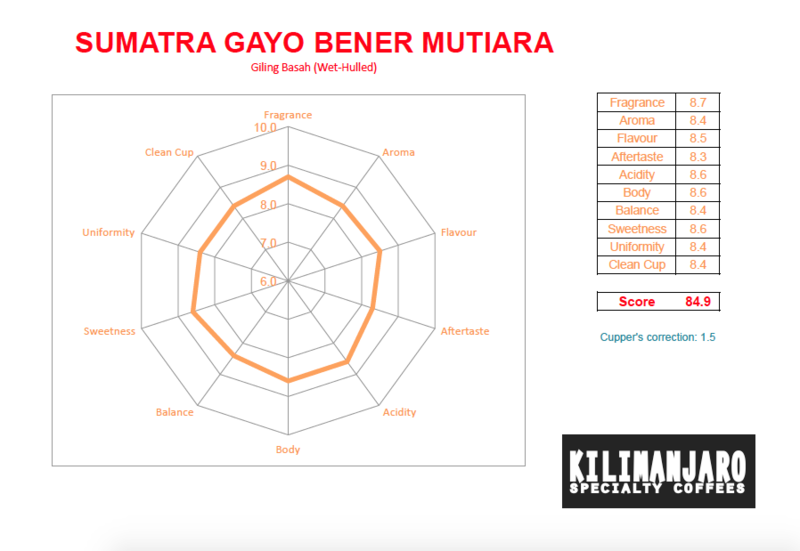 The varieties of Coffea Arabica that we can find today in the Gayo highlands are: Bergendal, Sidikalang, Rambung, Lines - S, USDA, Catimor Jaluk, Ateng Super, BP 542, C - 50, among others. 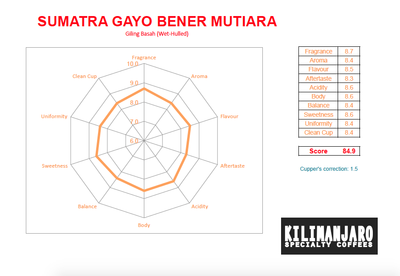 But recommended by the local government for its high productivity and cup quality are: Gayo-1, Gayo-2 and P-88.